Creaza listed as a featured project in flex.org`s showcase! 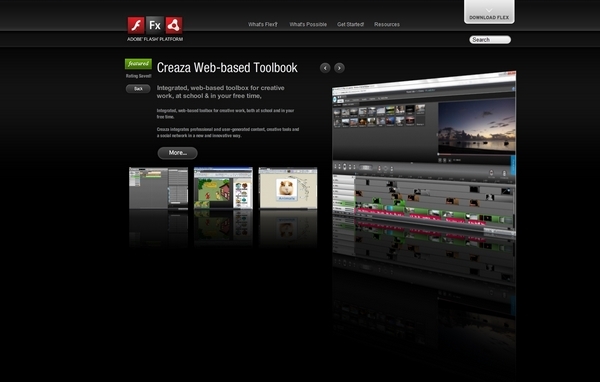 Today creaza was added to the featured projects on the showcase list that adobe presents on their website http://flex.org. Flex is a developer toolkit for building exceptional rich Internet applications on the Flash platform. How many videos would you like to insert? With the latest release you can still add as many PiP's (picture-in-picture) as you like. What is new in this version is the smooth way of handling PiP. 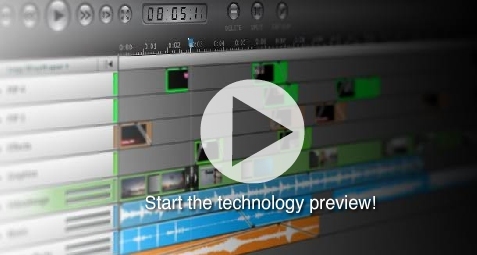 Align your videos with the help of the grid once you have dragged the clips down on the timeline. In the preview window you can now add a grid. Choose among different different grids to find one to suit your project. The grid helps you place the videos (or other graphic objects) where you want. With the "snap-to-grid" feature it is even easier to align the videos. Adobe released Flash Player 10.1 June 10th. Just after that, Creaza launched an open test bench for the new Flash Player. We launched a preview of the next version of Creaza MovieEditor. Today Adobe launched Adobe Flash Player 10.1.